Low dark clouds behind a lone Bristlecone Pine in Ancient Bristlecone Pine Forest in the White Mountains. 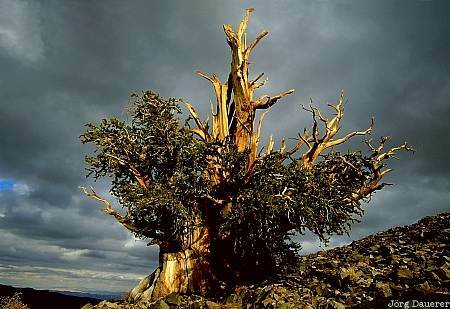 Ancient Bristlecone Pine Forest is in the eastern part of California, United States. This photo was taken in the evening of a cloudy day in October 2002.